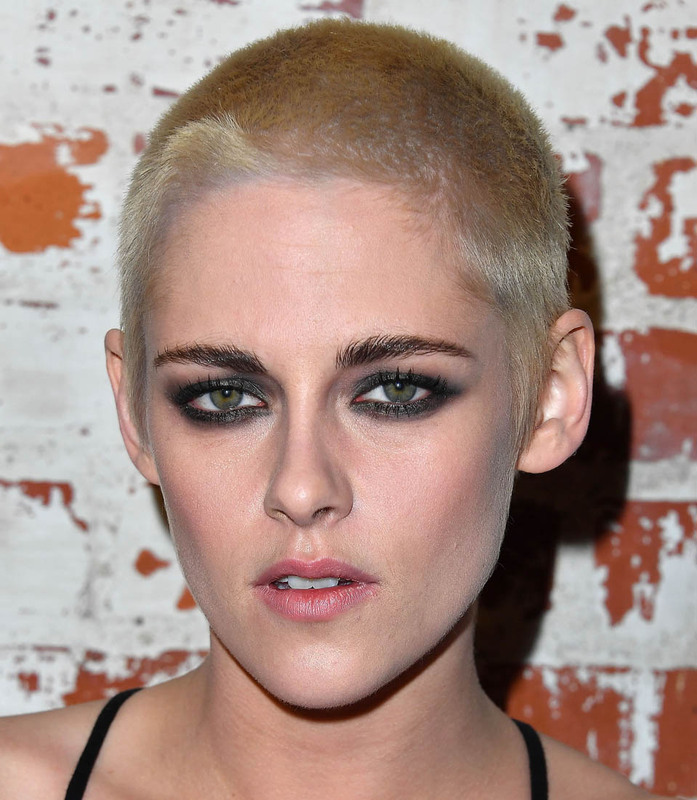 Kristen Stewart showed off her brand new bleach blonde buzzcut yesterday to promote her film Personal Shopper. As we've seen, her hair has been getting shorter and shorter for a while. So I don't think, at least for me, that this is as drastic as it might feel if she'd done this, say, right after Twilight. 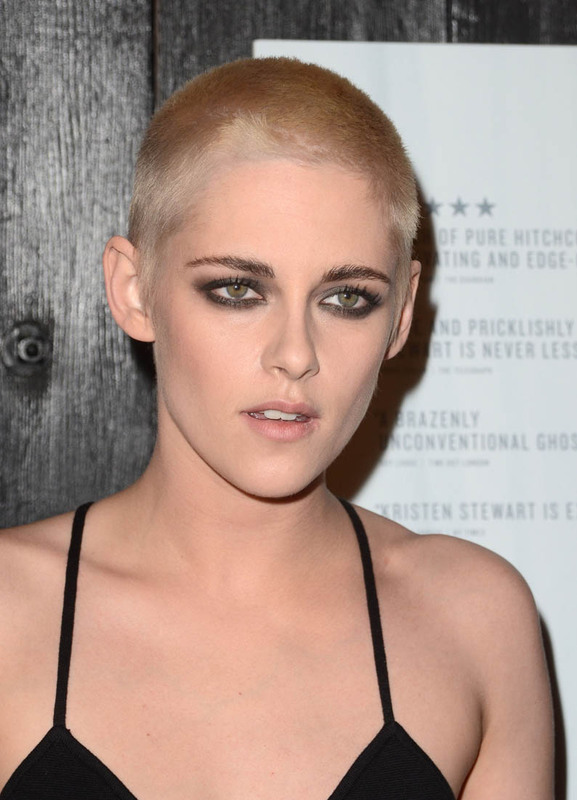 Does it feel like that's also kind of the path she's taken from Bella Swan to "I'm, like, so gay, dude"? 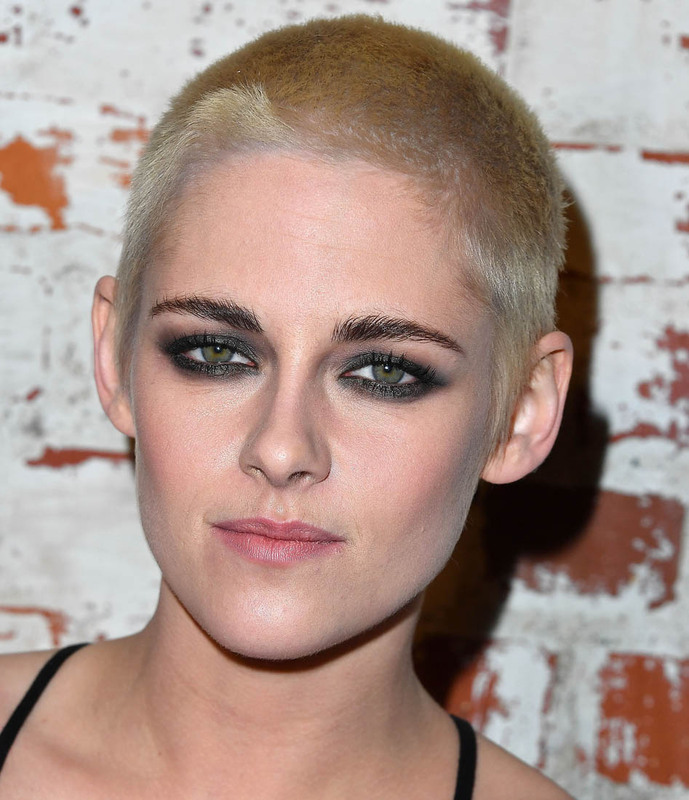 Kristen Stewart in 2017 will go on Saturday Night Live, talk about her personal life, laugh at her past life, and when she talks about her personal growth, you can see it, in everything from her body language to her hair. I LOVE her hair. Or, specifically, that she doesn’t have much left. Look at those eyes. The cheekbones. The shape of her face. You do have to have a face though, non? Lupita, Winona, Halle, those are all faces. Pretty special faces. Like… most of us, I’m not sure this is an option. And it’s not just the face. For me it’s front and back, as in the back of my head. I have a very flat back of the head with a very wonky ridge. So, yeah, a lot of hair and head envy today.